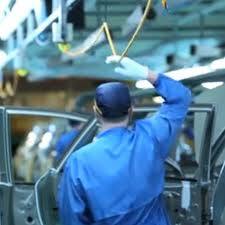 What is Andon in the Toyota Production System is a common question to those not familiar with Lean Manufacturing. In English, Andon means ‘Sign’ or ‘Signal’. It is a a visual aid which alerts and highlights where action is required. Think, for example, a flashing light in a manufacturing plant that indicates the line has been stopped by one of the operators due to some irregularity. Andon is a principle and is also a typical tool to apply the Jidoka principle in Lean Manufacturing – Jidoka is also referred to as ‘autonomation’, which means the highlighting of a problem, as it occurs, in order to immediately introduce countermeasures to prevent re-occurrence. 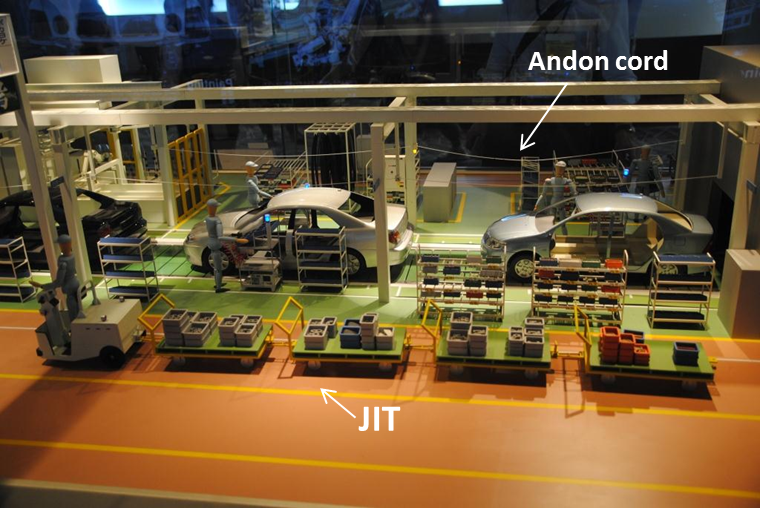 At the Toyota plant where I was, the Andon principle was applied differently than how you might see it in manufacturing. In supply parts distribution, there is no assembly line, as it were. But the principle was applied nonetheless, just within the context of supply chain and warehousing. The origins of the word, Andon, comes from the word for a paper lantern – which is a common ornament in Japan. At bottom, it is a term that refers to an illuminated signal notifying others of a problem within the quality-control or production streams. The Andon is activated usually by a pull-chord or button, which automatically halts production so that the team can gather, apply PDCA and root cause analysis, and then quickly apply a solution. The warning lights are incorporated into an easily visible, overhead signboard, which also identifies the area or specific workstation that has the problem. The frequency and nature of these occasional issues are analyzed as part of Toyota’s program of continual improvement. But here’s the point: Andon, as a principle, needs to be applied to your specific situation. If you’re not in manufacturing, then the concept of the Andon will look differently. For example, Amazon applies the Andon in Customer Service in a way that makes sense. Remember: It is a method by which to stop the process, allowing the team to apply root cause analysis, and then implement countermeasures. Doing so prevents the process from continuing to produce defective parts.